Established in 1992 in the elegant market town of Reepham, and now with an office in Holt, we have built a strong reputation for the professional and friendly service we deliver. We are a local, family-owned and run company, that cares passionately about looking after our owners and customers. 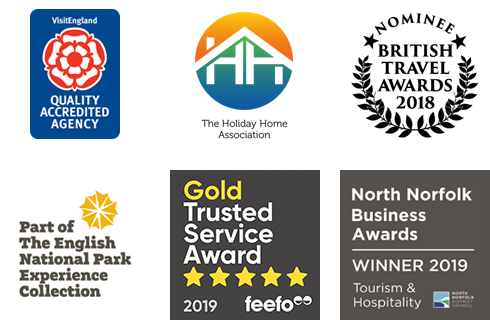 We are Norfolk’s leading independent holiday lettings agency, which is the result of heaps of hard work and dedication, but that doesn’t mean we’re happy to stand still though… far from it. We’re continually developing our business to remain fresh, ahead of the crowd and be the very best at what we do. No matter whether you’re considering investing in a holiday property, in the midst of building works or renovation, or have one ready to go, we are always more than happy to discuss your requirements and answer any queries you may have. You can come to us, or we can come to you. Our unrivalled experience allows us to offer informed and honest income projections, property improvements, letting guidance and a full assessment of your property’s potential. We will never promise unrealistic pricing or discounts to encourage you to join us. We’re in this for the long term and hope you will be too. We are more than happy to talk things through with you, for free and with absolutely no ties. Email Liz, Joanna or Eve, pick up the phone or call into our offices in Holt or Wells-next-the-Sea - you can be assured of a warm welcome and some great advice. We hope to hear from you. Email or call Liz, Joanna, Amanda or Eve on 01263 569220 - they'd love to hear from you. Norfolk Cottages is a local, family-owned and run company, that cares passionately about looking after our owners and customers. We are also part of the Original Cottages group. To learn more about our offering, please view our short video. We are always happy to have an initial chat to answer any questions you may have prior to our property visit.